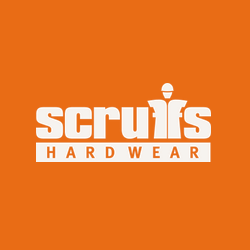 Scruffs Workwear have launched a state-of-the-art jacket to ensure that you’re always just one click away from being highly visible at work. You know the feeling when the site manager goes on his daily rounds and you’ve left your hi-vis in the office - you then find yourself doing a commando roll behind a pile of bricks to stay out of sight, when in actual fact you should be seen in all your glory! But now there’s a solution. We’ve answer your call. Scruffs have launched a brand new jacket that with one click of a button illuminates itself to make you visible from all angles. The LED-powered jacket will ensure that you’re transformed into a beacon of safety on your worksite! The Scruffs 4P-R1L F0-0L Technical Jacket is now available to buy at Scruffs.com for a limited time at only £199.99. You may think that’s excessive, but you just can’t put a price on safety can you?! Now’s the time to invest and brighten up your day - and the site manager’s!